SC & SD ledger detail with Inventory in Tally 9 "Dear Sir, Would you please help me as I have been facing problem while printing Party ledger details? We are suppose to get details like, ledger transaction date wise with details inventory (purchase or sales) and Dr/Cr Balance in the ledger report. 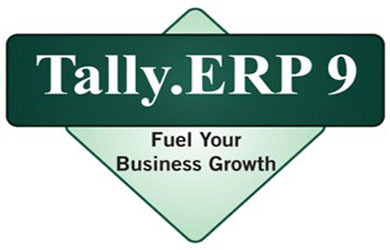 How can it be possible with Tally.Erp 9 please let me know. Tilak, Just open tally.erp 9. Go to display, then go to Account Books. Then go to ledger. Then go to party account. In party account, click print. You can get print all your required detail. Above written content is Demo and part of Tally.ERP 9 Full Education Course. If you want to take the Course of Tally.ERP 9 Full Education, please click here. 6 comments to ''Problem while Printing Party Ledger Details in Tally.ERP 9"
party address details, but do not show party address details in excel.so please you will help about that. printing party ledger together details with address export in tally erp9. please tell me now, how can it be possible. I am not able to print a ledgers against a ledgers. WE are unable to to Print the Company name in Tally. Can you please help us. how can i get print out of Ledger account of each ledger heads of each districts? Please help. When i want print a ledger in Tally ERP 9, i enable to print directly, after save the ledger in ms office document then i albe to print.